Bridget Bisnette is Vice President of Global Channels and Commercial Sales for Riverbed Technology. She is responsible for Global Channel Strategy and synchronizing Riverbed's efforts through the channel, managing the partner program, focusing on enablement to drive partner productivity and integrating them into the commercial sales motions. She is also building a new Global Commercial Sales Operation. 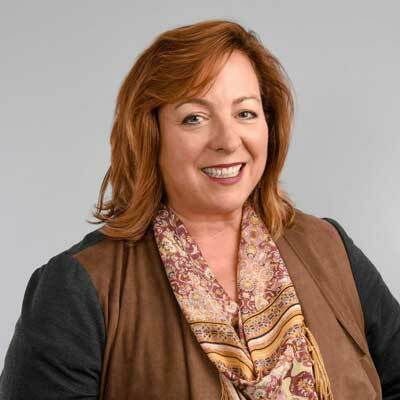 Before Riverbed, Bisnette was a Senior Director of World Wide Product and Solutions Partner Marketing at Cisco where she supported field sales, partner and corporate marketing teams by providing customer insights, portfolio management and value proposition development for the mid-market go to market. Prior, she built and ran field marketing in the emerging markets sales operation and managing a distributed workforce of 150 marketing professionals. Her team focused on B2B marketing across all customer segments in 23 countries with 19 languages valued at $4.3B business. She managed a multi-discipline team delivering: brand, demand generation, channel marketing, events, social media, strategic planning, customer intelligence and all integrated marketing communications functions. Throughout 2017, I was responsible for building a Commercial Sales operations in the Americas that integrates Riverbed Sales with Partners, establishing operational guidelines and consistency globally. I rebuilt the America's Channel Sales operation, and architected a new innovative partner program for the company named Riverbed Rise. The main goal is to grow our business within existing customers and through the acquistion of new customers in the Commercial segment. We expect increased partner engagement with the introduction of our new partner program, Riverbed Rise. I will also grow the Riverbed Reach program, which offers free and value-added marketing services options for all levels of partners. I was selected for CRN 2018 Channel Chief. Oprah Winfrey - I love her story, coming from nothing to someone very special. Be confident, your smarter than you think you are. I would want to develop more in-depth knowledge of the technology behind Riverbed's success and the new consumption models that are driving the industry. Ultra Leadership by Greg Giuliano. Being a female in an male dominated world, developing and refining leadership skills are critical for survival and to remain relevant in the business. This book has practical advice on how to go beyond the usual and ordinary to engage others and lead real change.